Discussion in 'Corals' started by mikejrice, Oct 24, 2018. This one took a lot more time and editing due to the amount of information I tried to pack in, but here it is! Kick back and enjoy the second edition of Coralscapes the Movie this time featuring hammer coral, leather coral, frogspawn, zoanthids, torch coral, pipe organ, goniopora, green star polyps, cup coral, bubbletip anemones, galaxea, clove polyps, blastomussa, duncans, Lithophyllon, montipora, stylocoeniella, leptastrea, mushrooms, plate corals and fox coral along with info on each. SynDen and TheRealChrisBrown like this. 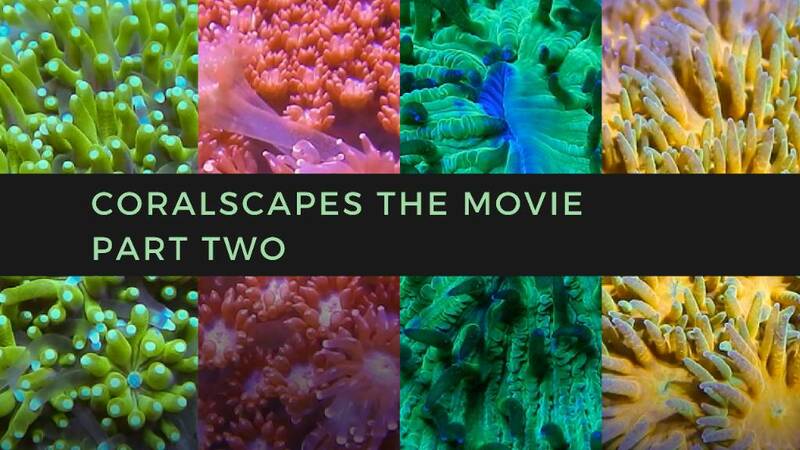 If you enjoyed Part Two, be sure to also check out the first installment of Coralscapes the Movie.